An amazing new resource has been added to the Access All Areas section today courtesy of RetroSupply Co. 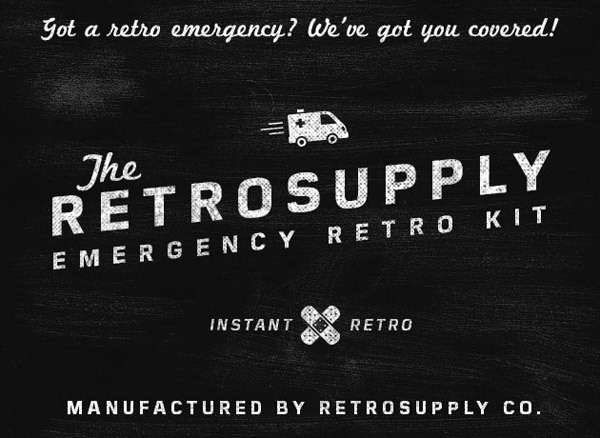 This exclusive RetroSupply Emergency Retro Kit contains a bunch of handmade design resources to give your design an instant retro fix. Choose from 9 high resolution textures and 6 Photoshop brushes to give your designs an authentic retro look. The Emergency Retro Kit has been compiled exclusively for Access All Areas members. 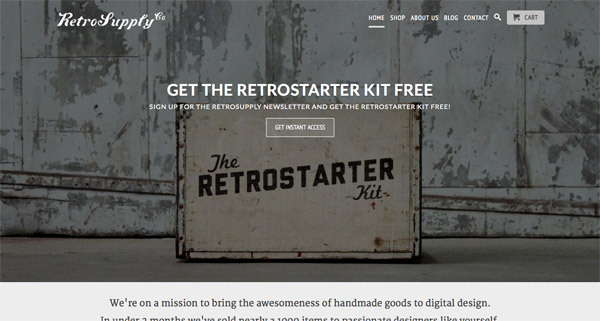 It contains a selection of extremely high quality design resources that allow you to instantly distress and age your designs for that trendy retro effect. What’s more, members and non-members can benefit from a 25% discount on all the fantastic resources in the RetroSupply shop using the special coupon code SPOON. Paste one of the high resolution shop paper textures over your design work to achieve an instant retro look. The 9 tattered paper textures of Folded Parts List, Black Fax, Copy Machine Invoice, Storage Room, Broken Printer, Broken Fax, Manual Cover, Workbench and Steel Wool are straight from the repair shop to give your designs an authentic aged appearance. These 6 halftone brushes can be used to paint additional texture or erase away areas of your artwork to simulate traditional printing methods. Seriously looking forward to checking these out. Well, this is sure nice! I can’t wait to give these a whirl! Thank you to all! These are pretty cool. I can’t wait to try them out on something. I love the retro look. 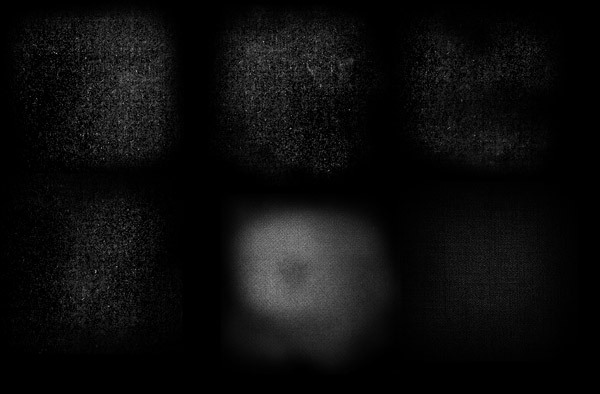 As an owner of all his plugins, I can testify that Dustin Lee makes really makes good stuff. If you feel like it, you can see how I used some of Dustin’s plugs on my blog.